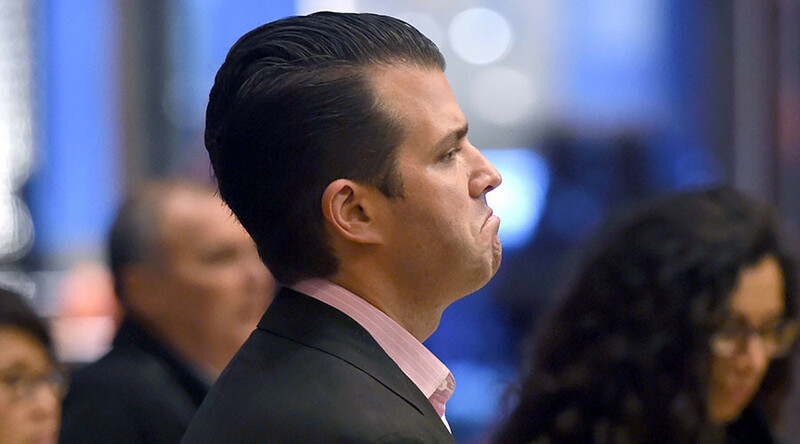 The president’s son tweeted out the printouts on Tuesday, after several days of claims in the media that his meeting with attorney Natalia Veselnitskaya amounted to proof that the Trump campaign colluded with the Russian government during the 2016 presidential election. “The woman, as she has said publicly, was not a government official,” Trump Jr. said in a statement accompanying the materials. Though the meeting was arranged based on the assumption that she had incriminating information about the Democrats, the lawyer “had no information to provide and wanted to talk about adoption policy and the Magnitsky Act,” Trump Jr. said. Veselnitskaya confirmed as much in an exclusive interview to NBC News on Tuesday. She also said that she never requested a meeting with Trump Jr, however. "This is obviously very high level and sensitive information but is part of Russia and its government’s support for Mr. Trump - helped along by Aras and Emin,” Goldstone wrote, referring to Aras Agalarov, an Azerbeijani businessman who helped bring Donald Trump’s Miss Universe pageant to Moscow in 2013. His son Emin, also referenced in the email, was previously married to the daughter of president Ilkham Aliyev of Azerbaijan. In contrast to the June 2016 email, Goldstone on Tuesday described the actual meeting as “the most inane nonsense I ever heard,”according to the New York Times. Among the Senate Democrats, however, the story of the meeting is seen as explosive. Senator Tim Kaine (D-Virginia), who was Hillary Clinton’s running mate in 2016, said that the congressional probe into the Trump campaign is even considering treason charges.